An original painting or a reproduction? A concert with your favourite band or a local cover band? The Twilight/ Lord of the Ring trilogy or the films based on them? An Armani suit/ Louis Vuitton bag or a Chinese copy? Attending Woodstock in August 1969 or hearing your parents talk about it? My guess is you chose the first alternative more often than not. Also, I wager your argument for doing so was that the first is better, but why is that? What makes an original better than a copy, and is the original really what you think it is? In an age before the mass publication of books, possession of an individual text was extremely rare and of enormous value. The prices still paid for original classic paintings also attest a residual attachment on contemporary society to the aura of the original work of art. Technological society, however, is dominated by reproductions of original works. The signed copy of the novel may be preferable to the unsigned copy, an original painting by Van Gogh may seem priceless, attendance at a dance performance may seem preferable to viewing it on video, but in contemporary society our experience of these and all other arts are generally of their technological reproductions. New artistic media of the twentieth century such as film, video and television, are, indeed, based on technological methods of reproduction. 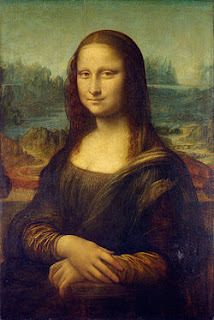 The aura which surrounds The Mona Lisa or the eight-century Book of Kells in Trinity College Library, Dublin, is unavailable to, and indeed an irrelevance for, these kinds of art forms (i). Allen, of course, neglects to mention that by their very nature the original painting by Van Gogh, the Mona Lisa, the Book of Kells and even the dance performances are themselves reproductions. Each of them mimics either natural entities, persons, stories probably already in existence, a dance script or an earlier performance. Dance, by accompanying and illustrating originals such as music, narration or in hunter gatherer societies the movement of animals, necessarily has to imitate an original through body movement (ii). The hunter gatherer would accompany the rhythm of a primitive drum and dance to give a representation of his genesis myth through body movement. He might also dance to mimic the hare which he caught earlier. In these cases, the hunter gatherer tries to adapt cultural expressions like music into another art form, reproducing music and myth narration as dance, or he is imitating the world, reproducing the movement of its animals. The signed copy of a novel is arguably just that, a copy. 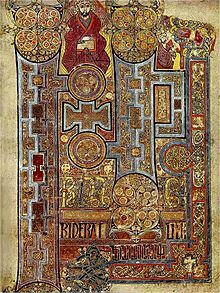 The Mona Lisa is a static reproduction of the visage of a real person and the Book of Kells is a reproduction of Christian sacred documents and a summing up of contemporary religious discourse. The basic argument still stands, though, because in the original-reproduction dichotomic relationship the original is the source from which the reproduction borrows and as such truly original within that relationship. Likewise, by being a part of a cultural context, the original appears as a segment of reality, however many earlier sources it may have imitated. Thus, art is always to some extent a copy of reality and it is this copy which is generally encountered in contemporary society. This, in a simple and applicable form, is exemplified by news media. As soon as we do not experience an event first hand, we miss reality because any other way of becoming aware of the event after its passing has to be through a reproduction. This could be in terms of someone having experienced the original event and then reproducing it by narrating his or her experience. Alternatively, it could be in terms of a newscast reporting a real event, its content and form edited and adapted in order to be presentable through a different medium, film (iii). As representative for an age of multi-media, this latter case is symptomatic for the emergence of the field of adaptation where narratives are adapted into new technological modes of expression. "Do I have an original thought in my head?" So if everything is inspired by something and nothing is original, does that mean that everything is of poorer quality than some mythical source? The pessimist would say that the film takes what you read in the book, leaves out the bits it finds irrelevant and adds bits it thinks should be there, like music or moving images. The chances of these corresponding with what you would think appropriate are slim to none and the rest of the audience faces similar odds. Because of this gap between priorities and between expectations, any new cultural product would in fact be a poorer one. An optimist, on the other hand, would argue that the novelty is in the combinations. By combining cultural products, like film music, moving images and a story from a novel, the new film could be so much more than each individual product could. You would understand the book differently, listening to the song would never be the same again and seeing that actor play out his part would modify the way you look at both him and other films in which he has appeared. The optimist would say that because everything is a copy and because you cannot do anything without copying several other copies, you make something original. There are so many elements which inform your creation process, that the likelihood of all those elements having been put together before is as small as the pessimist's priority odds. Let us revisit the list we started with. The reproduction would be more than a poorer imitation of the painting. It would include all the colours, all the interpretations and experiences of the reproducing painter and all the history of the original painting. The cover band concert would update the original song and give it a local flavour. It would reflect not only each musician, but also the musical tradition of the area in addition to what were there "originally". The trilogies could only communicate through symbols or the occasional static image. The films, on the other hand, can tell you things through the sequence of images, through what's in these images and through sound (which includes music, noises, dialogue, voiceover etc.). These would give you experiences you could never create based on just the text. The Chinese imitations would use different materials, different techniques and would probably be more affordable and available. This combination would greatly expand the impact and implications of all these products. By combining the Woodstock experience with all their history after the event, nostalgia and modern sensibilities, your parents will have created a new Woodstock, one which is different from the one they actually experienced. In time, you might tell your children about Woodstock and your story will, with almost complete certainty be a different one. Oh no! 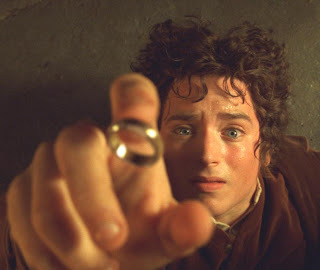 That cannibal from Sin City, Jonathan Safran Foer, has got the ring! Far from being a sign of intellectual inferiority, the capacity to err is crucial to human cognition. Far from being a moral flaw, it is inextricable from some of our most humane and honorable qualities: empathy, optimism, imagination, conviction, and courage. And far from being a mark of indifference or intolerance, wrongness is a vital part of how we learn and change. Thanks to error, we can revise our understanding of ourselves and amend our ideas about the world (iii). So next time you catch yourself thinking that someone has destroyed your favourite book or piece of music, keep Aronson's words in mind and then ask yourself what you have lost, why it was precious and what you have gained. How do you react to copies like a film adaptation of your favourite book? Is a copy always poorer than the original? Does the knowledge that you probably are not creating anything new as such take the fun out of creative work? If so, why? Is the alternative that we stop producing cultural expressions or should we open the floodgates and create for the lowest common denominator? Make your contribution to the discussion!